My fireplace gallery now has a flock of birds – part of the work I am doing for the Artisans’ Fine Craft Market coming up on November 4 & 5, 2016. The white papers behind them have been hanging empty for a few days so it feels good to have some colour there again. It was our grandson’s 7th birthday at the end of September so we went to help celebrate. They live on an acreage with a beautiful view of the lake and the birds were plentiful. The weather was great and our grandchildren were happily jumping on the trampoline. I took some time with my camera to capture some reference images. I am thankful for every one of these special days spent with family. Over the last week I have been keeping the memories of the day alive by working on some small watercolour batik pieces. This batik process I use uses wax as a resist so I always work on wax paper (or in this case the liners out of cereal boxes). These waxy papers stop the wax from sticking to whatever else might be underneath. Here are some of the flock, finished and waiting for the wax to be ironed off. I did that this morning. Enjoy the birds you see today! 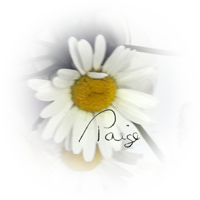 This entry was posted in Artistic Process, Being an Artist, In My Studio, Inspirations and tagged creative process, inspirations, Life on October 13, 2016 by Paige Mortensen.